Dr. Charles Anderson is a radiology specialist in San Francisco, California. He got his diploma from Stanford University School of Medicine and did his internship at Santa Clara Valley Medical Center. Dr. Charles Anderson completed his residency program in radiology at UCSF. The doctor is certified in diagnostic radiology and has an experience of more than 5 years. 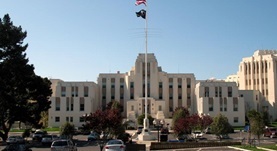 Currently, Dr. Anderson is affiliated with San Francisco VA Medical Center. Dr. Charles Anderson has contributed to 3 publications. Conviction, conversation, and collaboration. Editor's preface. Anderson, C.M. ; Lit Med. 2011. Editor's preface: Narrative, memory, rhetoric, and resurrection. Anderson, C.M. ; Lit Med. 2009. Editor's preface: Alterity, answerability, and the call to dialog. Anderson, C.M. ; Lit Med. 2008-01-01.